Oh Paris! I have been lucky enough to visit this romantic and magical city three times in my life so far and yet I cannot wait until I go back again! With magnificent architecture, extraordinary cuisine, and chic boutiques, you just can’t get tired of this city because of its culture, style, and beauty. The first time I visited Paris was when I was a young child with my mother. My fondest memory was going to the local bakery each and every morning to devour fresh French baguettes right out of the oven. Oh my goodness, they were divine especially smeared with French butter! There’s something truly special about French butter compared to American butter. So what makes this butter that much better? Well, it has a higher butterfat content resulting in a depth of flavor of cream with the right balance of saltiness and nuttiness mixed together. It is absolute perfection! Here are a few pictures from my first visit as a child. Mini Me at the Eiffel Tower. My Mother and I at Notre Dame Cathedral. My second and third time in Paris was in 2011 and 2012. Here are my snapshots from my more recent travels there. View of the Arc de Triomphe from the Eiffel Tower. View of the Sacré-Cœur from the Arc de Triomphe. View from the Eiffel Tower. View from Notre Dame de Paris. Inside Notre Dame de Paris. Enjoying Paris with My <3. In 2011, I had my first fine dining experience here in Europe at Le Cinq, a two Michelin star restaurant located in the majestic Four Seasons Hotel George V, Paris. All the dishes are inspired by classic French cuisine but also integrate new cooking styles and regional ingredients. 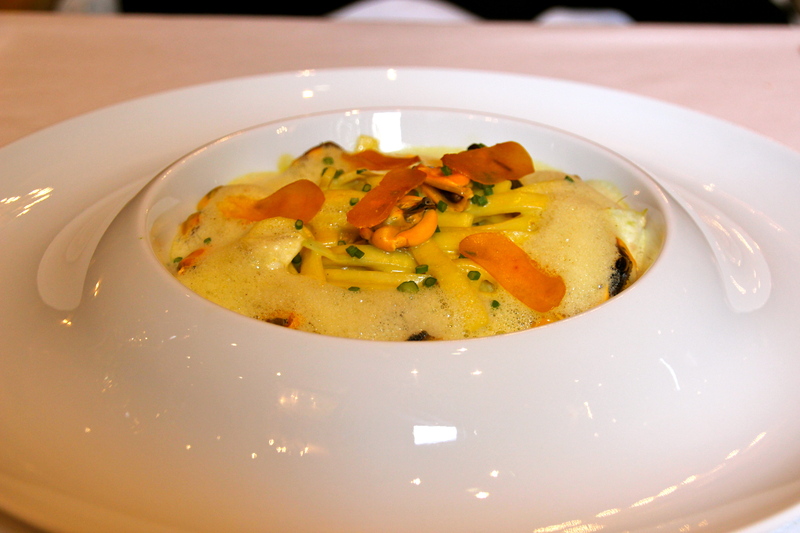 Handmade Pasta with Mussels and Bottarga (7.5/10). Langoustine Carpaccio with Citrus and Coral Gelée (9/10). Roasted Duck with Swiss Chard and Greek Olive Pastilla (8/10). Venison with Smoked Bacon, Chanterelle Mushroom Ravioli, and Beets with Pomegranate Sauce (8.5-9/10). Strawberry Fraisier with Strawberry Granita and Ivory Chocolate Sorbet (8/10). 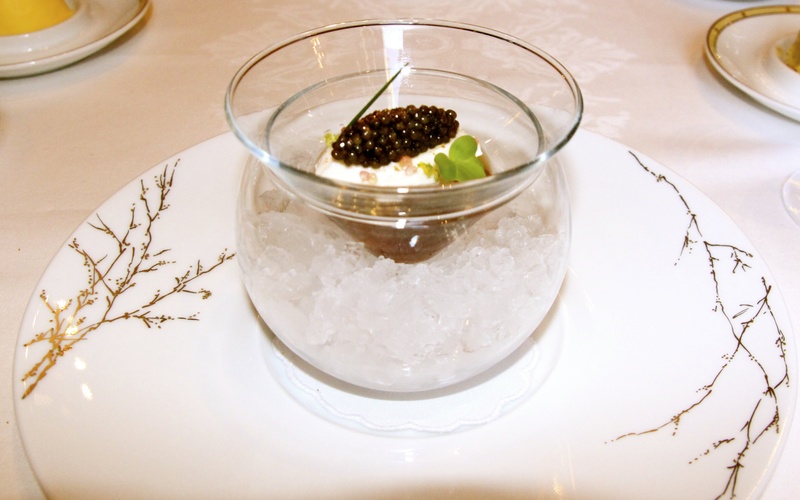 My dining experience at Le Cinq was without a doubt memorable (8/10). 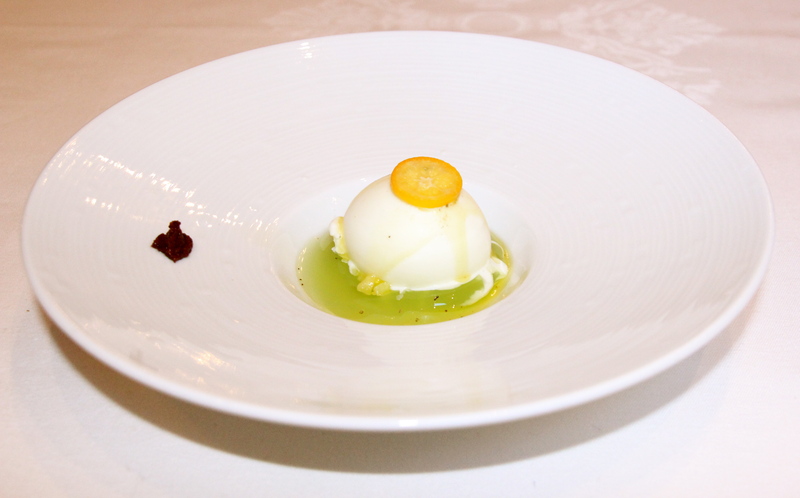 All the dishes were beautifully presented, executed perfectly, and tasted sublime! The highlights of the meal were the langoustine carpaccio and the venison. The langoustine carpaccio literally melted in your mouth with the right hints of acidity from the citrus and freshness from the raw crunchy green apple. 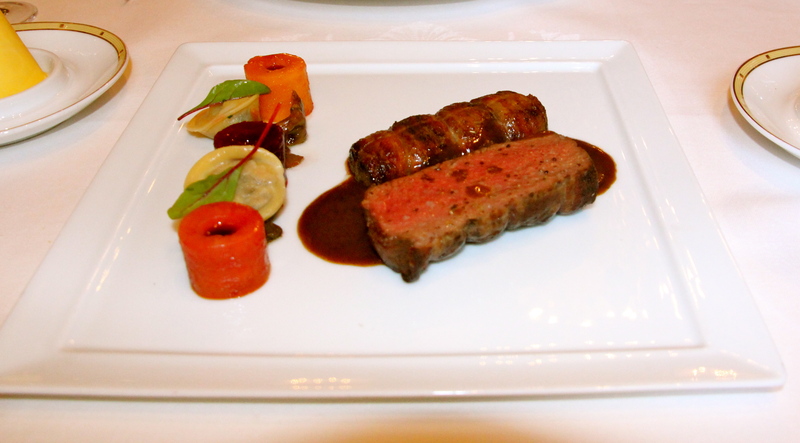 The venison was cooked to moist tender perfection served with a delicious tangy pomegranate sauce. Service was of course impeccable and attentive without being overbearing. 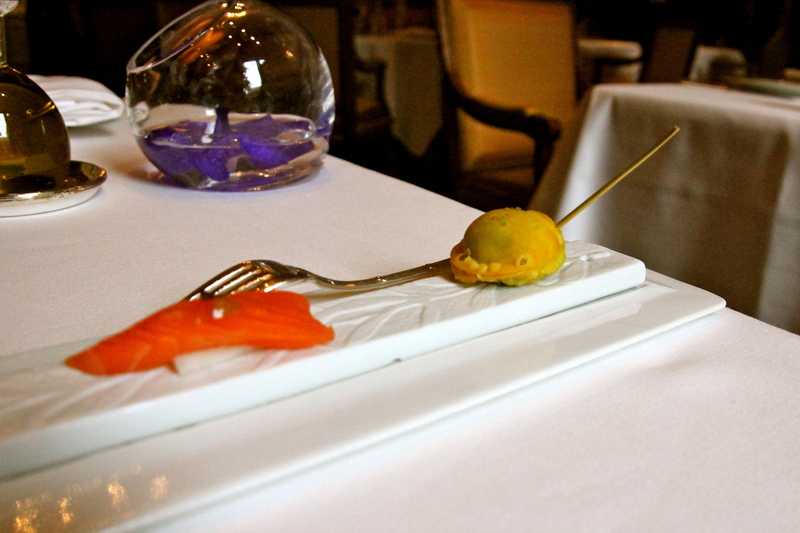 Le Cinq went above and beyond my expectations. I would most definitely return to this outstanding restaurant in a heartbeat if I had the chance! I cannot wait to try more restaurants in the beautiful city of Paris. Wonderful photos. 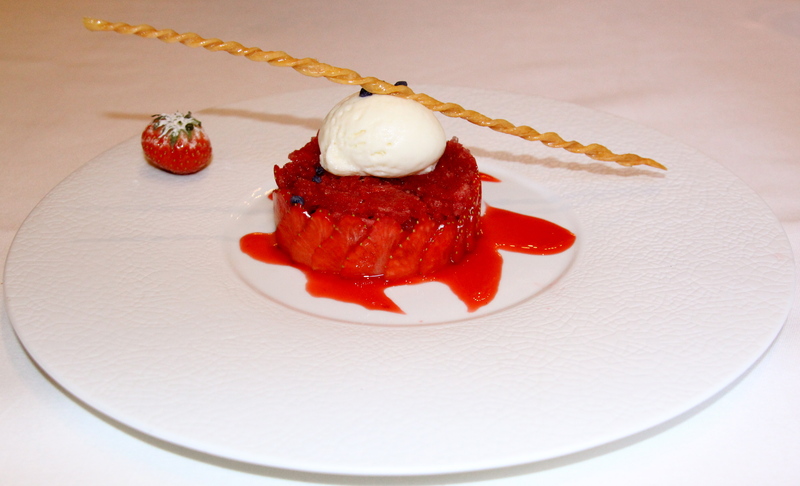 The food at Le Cinq looks delicious! Thanks! 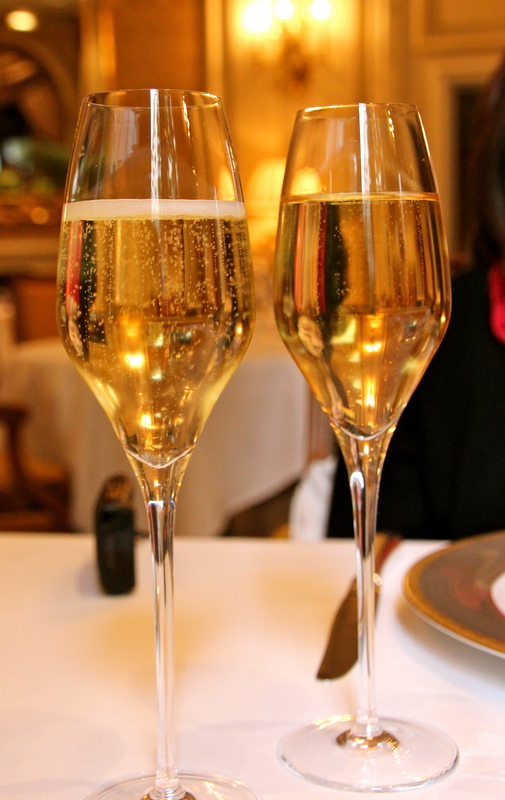 Definitely go to Le Cinq if you ever have the opportunity! I couldnt agree more, Paris has an eternal beauty that can only be truely understood by those who have experienced her charms. Pingback: Popular Destinations in France. | Sale, Pepe, Amore.